The Asian Hoopfest is coming October 13th! Kick-off Event (shooting contest) on September 15th, 2012 at Atlantic Times Square in Monterey Park from 2PM-4PM. Special Thanks to Jonny Hwang (http://626nightmarket.com) and Alex! 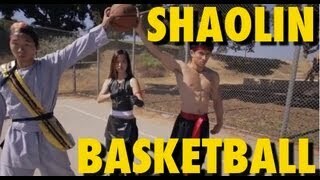 Shaolin Basketball (skit) - Fung Brothers. 3.72 min. views 626 (MUSIC VIDEO) - Fung Brothers ft. Jason Chen. 5.93 min. views Reggie Miller and Kobe Bryant fight 2002. ... yourfavoritemartian","fung bros comedy","fung brothers","fungbros ... Shaolin Basketball (skit) - Fung Brothers. 3:43. ... ISA Basketball Game - Fung Bros. 4:04.